In this course the student will learn the major types of fractures and their treatments and will identify the coding guidelines for correct diagnosis and procedure code assignment. This course authored by Stephanie Albright. 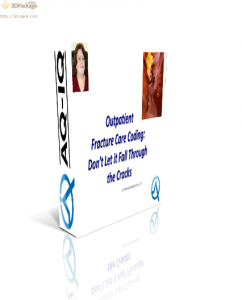 Overview of fracture types and treatments. A more recent presentation on this topic is available here.